With 6 weeks to go until we get married, one could say I have forgotten about my bouquet somewhat. Well, one could say I have forgotten about my bouquet completely – and you would still be right. I have given more thought to the table decoration and flowers, than I have to those that I will be carrying and photographed with for the majority of our day. More than a slight oversight, I’ll admit. I’m just hoping that if it hadn’t suddenly popped into my mind, someone would have reminded me about it before 27 April! Perhaps my top contender at this stage – generally small and round, and can be held with one hand if need be. The stems are normally tied together with ribbon or fabric, and while roses are the most popular choice, any firm-stemmed flowers can be used. I love the classic elegance of this option, and they always look gorgeous in photographs. This is made up of long stemmed flowers or greenery that are cradled in the brides arm, and not held by hand. Best suited to “modern style” weddings, I’m not quite sure this is for me, but it does make a definitely a statement arrangement if your wedding allows. 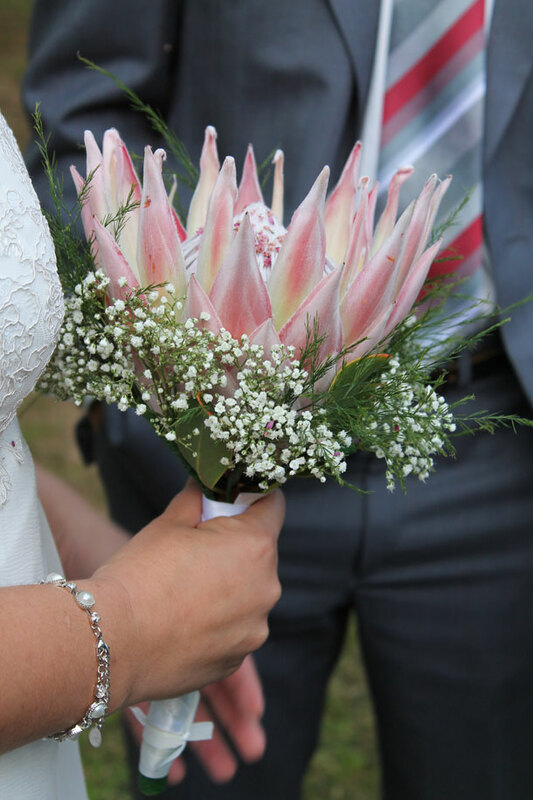 I would consider this to be my second choice at the moment – it’s apparently the most formal and traditional of bouquets, and consists of a round bouquet that tapers towards the bottom, with foliage which tumbles down over the bride’s hands. I fear this may be a little OTT with my wedding dress, but I think if yours is relatively plain and simple, this bouquet could be a brilliant choice.